Want the glow? Try these foods! To have healthy, glowing skin you need to depend on more than just a skincare regimen. The condition of our skin is a great indication of what is happening in our body, it is the window to the entire body. The food we eat has a huge impact on overall health and well-being, the healthier you eat the better your skin is going to look. You can use as many products you want on your face but if you’re not fuelling your body with the right nutrients, it’s not going to glow. If I haven’t been drinking enough water, not eating enough whole foods and eating too much sugar, I find that my skin appears dull and dry and I will get breakouts. This is always a sign that I need to watch what I’m eating. Beautiful skin starts with nourishment from within. our skin is a reflection of our overall health, if your insides are healthy, it’s going to show on the outside. 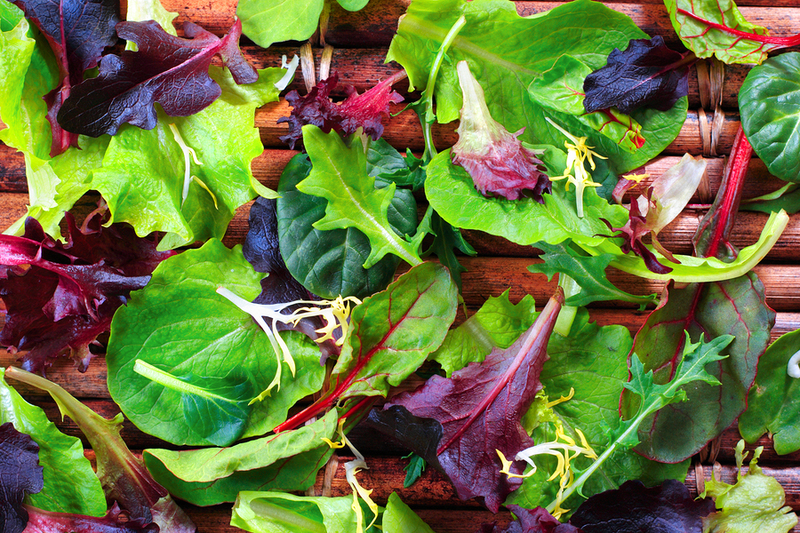 Bitter greens Bitter greens such as dandelion, nettle, arugula and kale help to cleanse the liver. The bitter taste stimulates the vagus nerve, telling the liver to produce bile. This helps to cleanse out harmful bacteria and clean the liver which balances hormones, regulates cholesterol and detoxifies the blood. When the liver is clean, our skin health is improved. Bitter greens activate taste buds that stimulate enzyme production and bile flow, which promotes digestion. Water Water is needed to help flush our bodies of harmful toxins, help move nutrients into our cells and keeps our organs functioning at their best. Water helps eliminate toxins from the body and impurities from the skin, well hydrated skin will result in a healthy and glowing complexion. If we aren’t drinking enough water, our skin will become dehydrated and become dry and flaky. Dry skin has less resilience and is more prone to wrinkling. Make sure you are drinking enough water throughout the day to help improve skin health. Eat foods that have a high water content to help with hydration, these include watermelon, cucumber, strawberries, pineapple and oranges. Fats Fat has many special roles from providing superior long lasting energy to supporting the development of hormones. 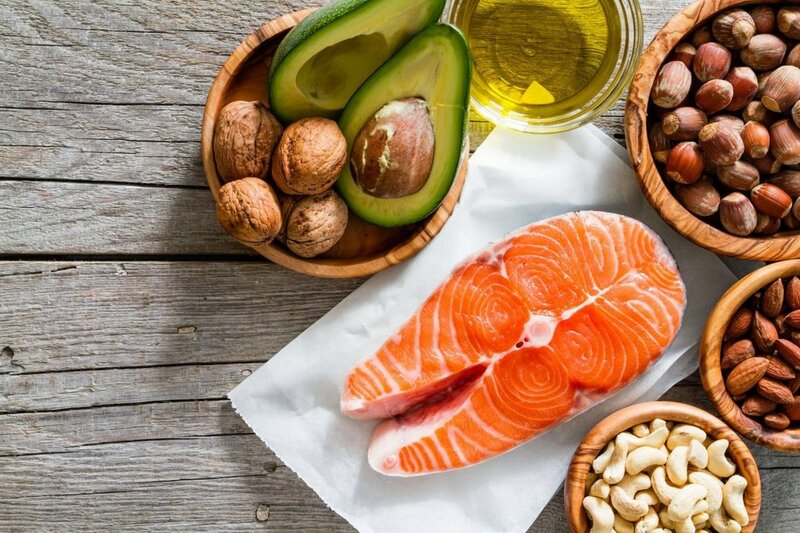 Fat is needed for assimilating the fat-soluble vitamins A, D, E, and K. These fats help nourish the skin by reducing inflammation, protecting against damage from the sun and hydrating cell membranes which helps skin retain a healthy and soft appearance. Foods that are rich in good quality fats include salmon, eggs, avocado, chia seeds, nuts and seeds and flaxseed. Cacao Cacao is one of the main ingredients in chocolate. It is also used to make cocoa and cocoa butter. Cacao in its raw, unprocessed state is filled with beneficial nutrients, it is high in antioxidants, which help protect cells against free radicals. Free radicals destroy cells, including skin cells. After a period of time the skin becomes damaged and quickly begin to age. 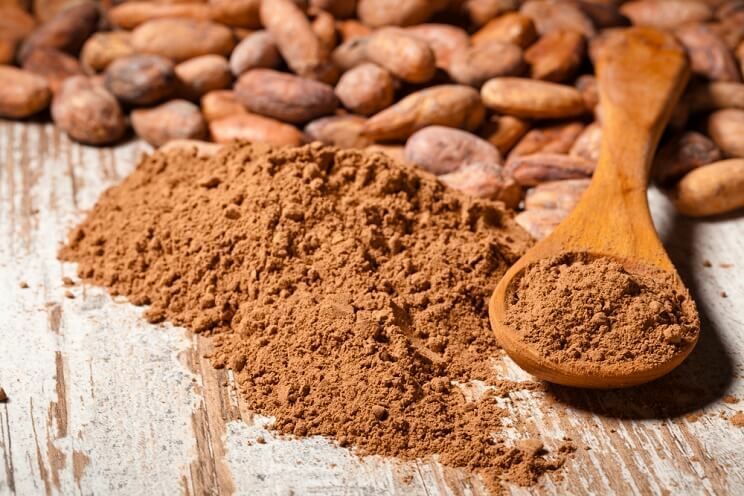 Cacao is also high in vitamin E, which is a powerful antioxidant; it also contains vitamin A and C. You can add cacao powder, butter or nibs to smoothies, desserts and sweet tasting recipes. Fruit and vegetables Fruit and vegetables are going to help with skin health because they are full of nutrients such as vitamin C, A and E which are all great for skin. Vitamin C is a powerful antioxidant, that makes it an especially good food for fighting premature ageing due to UV damage. Citrus fruits such as oranges, mandarins and lemons are rich in vitamin C. Berries such as blueberries, strawberries and raspberries are packed full of antioxidants. Fruit and vegetables are also high in fibre which helps with digestion and flushing out toxins. This helps with skin appearance. Make sure you’re getting your 5+ a day! Load up on these foods and cut out processed ones that may be clogging your skin’s inner glow.